Here at HireMyMom, we strive to be “the” resource for moms looking for great work at home jobs. And we aim to keep HireMyMom 100% scam free. Each job that is posted goes through our approval process. We look for negative reviews and other red flags before deciding if a job will be posted to our members. And there are many that do not pass the test and do not get posted. We want to help educate our audience on what to look for if a job starts to seem suspicious. • The person offers to send you a check to buy equipment, supplies or some other business items. In this scenario, they will usually send a large check and have you purchase the items and ask you to send back the remaining balance. Once you have sent the balance back, their check has bounced and has left you out your own money that you sent them. • Another red flag is if the person wants to chat by text or Google Hangout or hires you without an interview. Normally a person hiring for a real job will use email and then interview you by phone, Skype or FaceTime. • Also of concern is if the person asks for personal information up front relating to your identity or banking information. These are some of the techniques that we’ve learned of scammers attempting to use. There may be others. If you have any suspicions or are unsure about a job posting, please contact us so that we can look into it further. 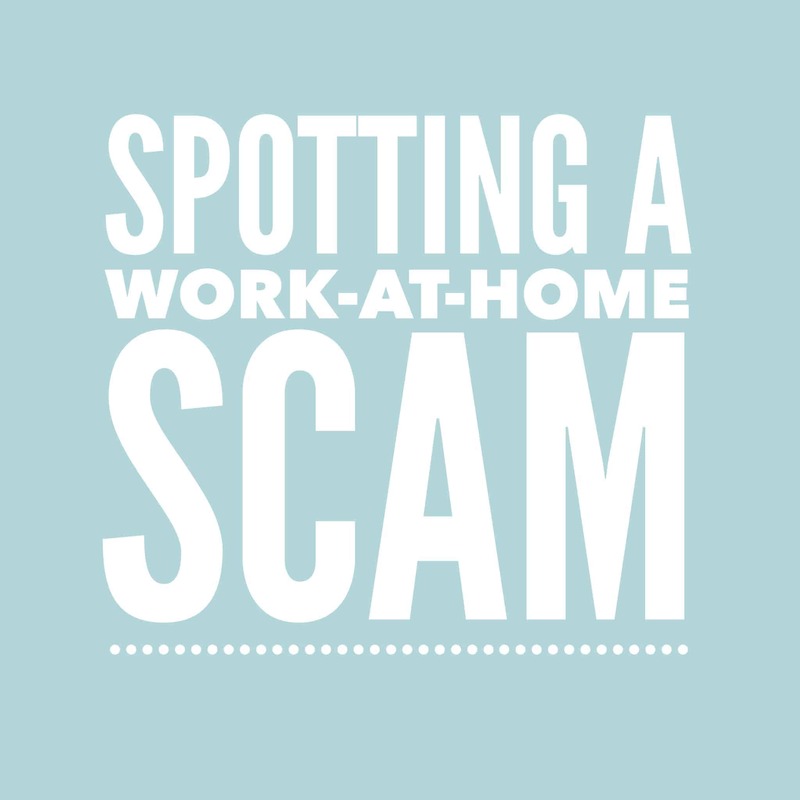 Let’s work together to keep scammers out of business!